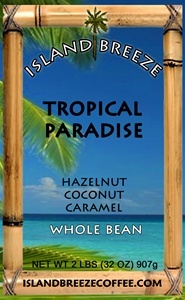 and the wonderful flavor enhanced Tropical Paradise (regular and decaf) with hints of hazelnut, coconut and caramel. 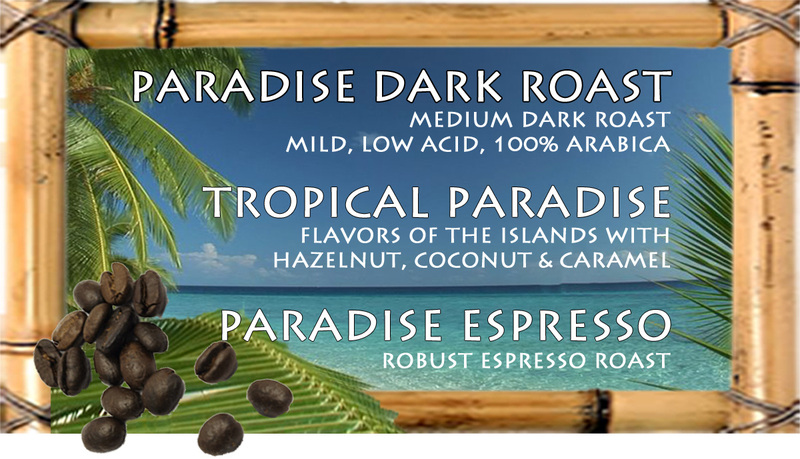 These are both a medium dark roast, full bodied, and very low acid. 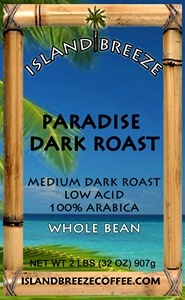 Order and enjoy the darker roast of our Espresso, also very low acid. All of our fine coffees are available in whole bean or ground to order. this is the only coffee they drink.